A Fayetteville man was arrested Tuesday on Federal charges that he and a San Francisco man hacked into AT&T servers and stole email addresses from iPads. The accused man did not seem to be taking it very seriously. 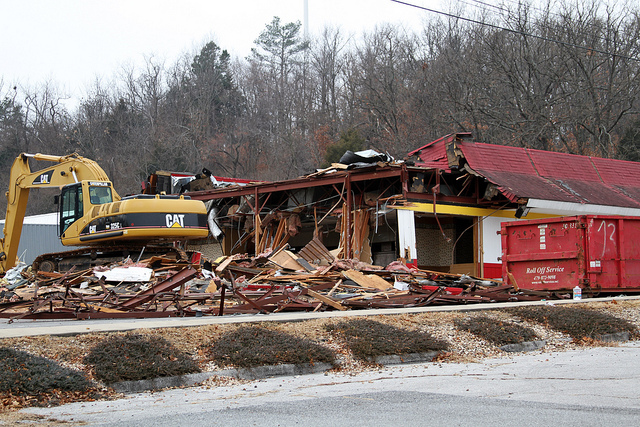 The McDonalds on College Avenue where you packed on your Freshman 15 is… gone. It is being replaced with a brand new set of Golden Arches. Two uniformed Rogers police officers were carded as they tried to enter a private club to serve a warrant. One officer had his ID, the second did not. Two more officers arrived later and a funny story got ugly for the bar owner and employee. The cleanup continues in Cincinnati. Storm debris everywhere. Snow seems to be the only newsworthy event otherwise.